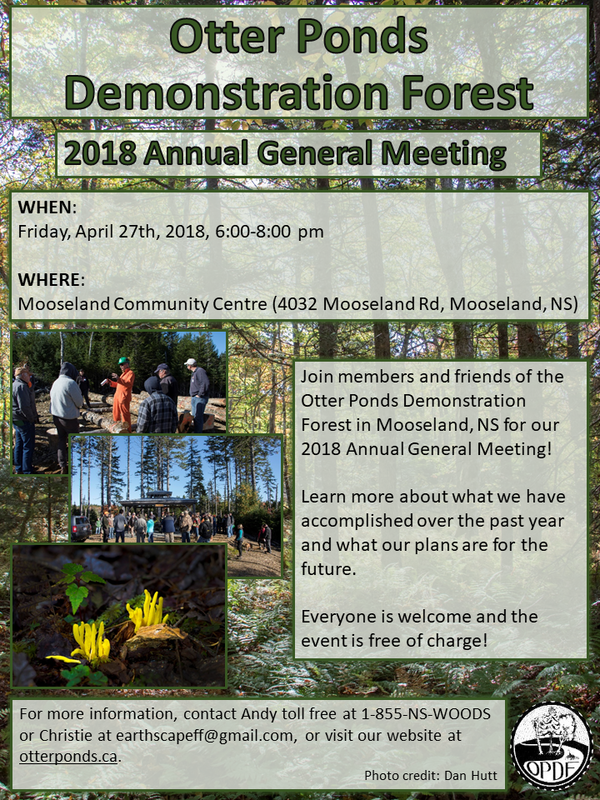 Join members and friends of the Otter Ponds Demonstration Forest on Friday, April 27th, 2018, 6:00-8:00pm for our 2018 Annual General Meeting! Learn more about what we've been up to over the past year and what our plans are for the future. Everyone is welcome and the event is free of charge! The AGM will be held at the Mooseland Community Centre (4032 Mooseland Road, Mooseland, NS). For more information email Christie at earthscapeff@gmail.com.